Find all soiled areas using your nose and eyes. A black-light bulb will usually show even old urine stains. Turn out all lights in the room; use the black-light to identify soiled areas and lightly outline the areas with chalk. 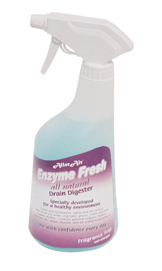 Clean the soiled areas appropriately to remove the odors (see below). Make the areas unattractive and/or unavailable (see our handouts on dog and cat aversives). Make the appropriate "bathroom" area attractive (see our handouts regarding positive reinforcement, house soiling and/or litter box issues). Teach your pet the appropriate place to eliminate by using positive reinforcement. These steps work as a team! In order for your efforts to be successful, you need to follow all of these steps. If you fail to completely clean the area, your other re-training efforts will be useless. As long as your pet can smell that personal scent, he'll continue to return to the "accident zone." Even if you can't smell traces of urine, your pet can. Your most important chore is to remove (neutralize) that odor. How the Allerair air purifier, air cleaner and air scrubber High Efficiency air cleaning system works. Allerair air cleaners / purifiers / scrubbers use a 4 phase filtering system. In the order that the air passes through them they are: the pre-filter, the mass activated carbon bed (MAC-B™) filter, the 2 anti-microbial filters and the HEPA filter. The pre-filter traps larger dust particles and is easily removed and cleaned with a vacuum cleaner. It acts to stop the larger particles such as dust and lint from clogging the other filters. The mass activated carbon bed (MAC-B™) filter adsorbs gases and odors. (Adsorb: the process by which activated carbon captures gases and odors.) Most off the shelf air cleaner, air purifier products have a few token ounces of carbon sprayed on the pre-filter. This is not sufficient to capture more than a small amount of the noxious gases and odors (formaldehyde, fluorine gas, nail salon chemical fumes, odors, HCL, fragrances, etc.) in the air and for only a short period of time. The MAC-B™ carbon filter comes with pounds of activated carbon (from 7 to 160 pounds) that will trap 90% of gases and odors that pass over it and for many months before needing to be replaced. The HEPA filter traps the airborne particles. These filters, which were developed by the Atomic Energy Commission to trap radio active particles, can capture 99.97% of particles as small as 0.3 microns. That is as small as some bacteria. Dust mites are tiny insects that are invisible to the naked eye. Every home has dust mites. They feed on human skin flakes and are found in mattresses, pillows, carpets, upholstered furniture, bedcovers, clothes, stuffed toys and fabric and fabric-covered items. Body parts and feces from dust mites can trigger asthma in individuals with allergic reactions to dust mites, and exposure to dust mites can cause asthma in children who have not previously exhibited asthma symptoms. Cover mattresses and pillows with dust proof ("allergen-impermeable") zippered covers. Wash bedding (sheets, blankets and bedcovers) once per week in hot water. Choose washable stuffed toys, wash them often in hot water and dry them thoroughly. Keep stuffed toys off beds. Maintain low indoor humidity, ideally between 30-50% relative humidity. Humidity levels can be measured by hygrometers which are available at local hardware stores. Common house dust may contain asthma triggers. When you are treating your house for dust mites, try these simple steps as well. Remove dust often with a damp cloth. Vacuum carpet and fabric-covered furniture to reduce dust build-up. Using vacuums with high efficiency filters or central vacuums may be helpful. People with asthma or allergies should leave the area being vacuumed. even live longer from a more healthy lifestyle. Spring time allergy / allergies getting you down, slowing you down?? We can help reduce your exposure to these allergens and provide relief. Look no further. We have a complete line of home and office air filtration systems for every budget. Residential, commercial, medical, industrial, military use. Filtration Media: True HEPA, Activated carbon , activated charcoal to eliminate dust, odors, smoke, mold, allergens. HEPA Filters were developed by the Atomic Energy Commission during World War II to remove radio active dust from their plant exhaust. 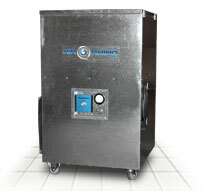 HEPA Filters (HIGH EFFICIENCY PARTICULATE ARRESTANCE) are now the primary filtration systems for electronic clean room assembly, isolation wards, surgical theaters, bioengineering, pharmaceutical processing, and any application where maximum reduction or removal of sub micron particulate is required.